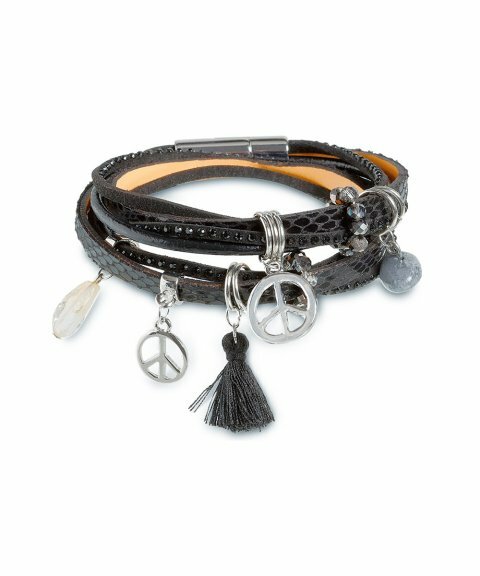 The motto behind this leather bracelet from Tamaris is love, peace and rock n roll. The reptile-look straps are set off with a variety of charms - giving any jeans, leather jacket & boots or high heels look a playful feel that makes this bracelet the ideal accessoire for festivals or long summer nights. A distinctive silver-coloured magnetic clasp keeps this groovy bracelet securely in place on your wrist.